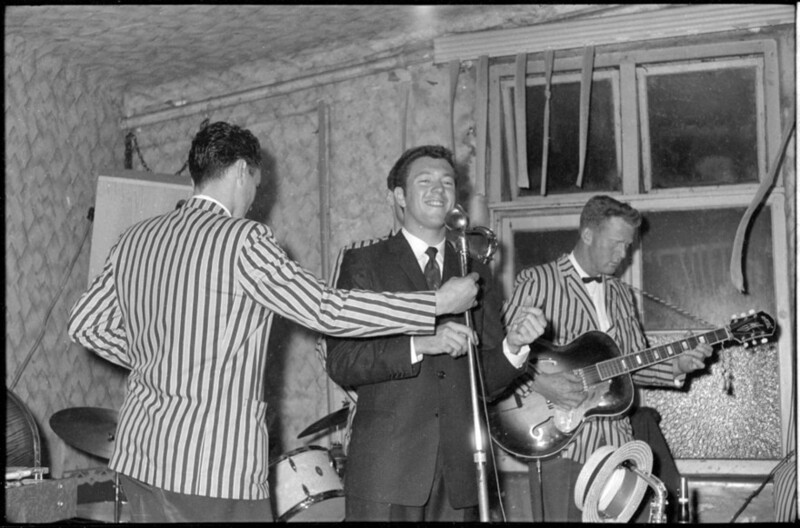 Weddings, parties, anything: photographer John Rykenberg captured Auckland life in the 1950s and 60s, and many of his photographs feature musicians at work. 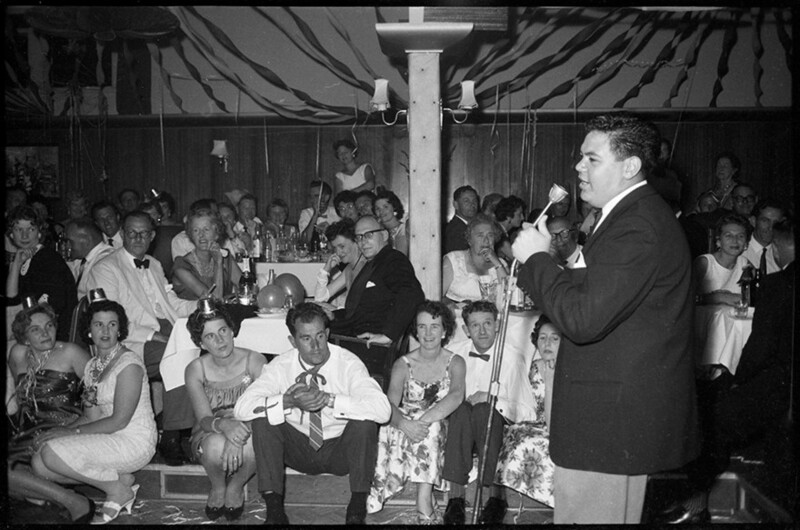 In 2017, Auckland Libraries received 900 boxes of film rolls donated by the Rykenberg photography studio. Here are some of the best images of Auckland’s musical nightlife. John Rykenberg emigrated from Holland in 1952, and six years later he started to turn his photography hobby into a career. 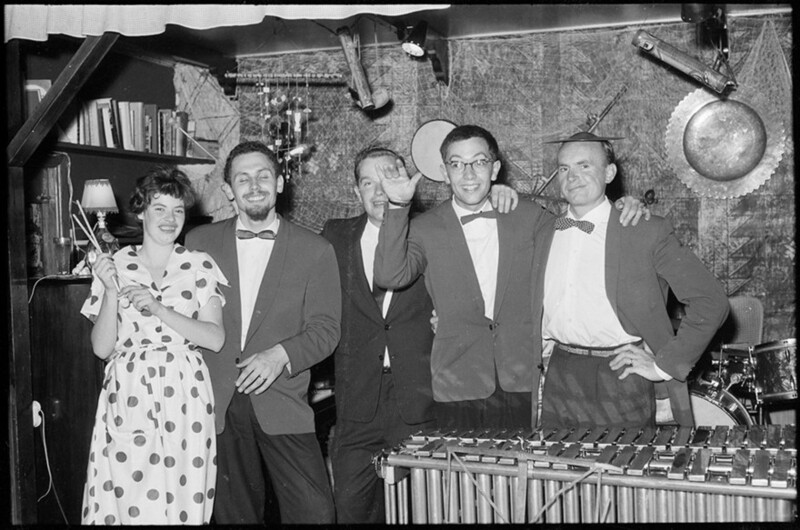 By day he made stainless steel benches, but each night he photographed social events. Few people had good quality cameras at that time, so he began shooting pictures at live venues, boat departures, and even street shots – selling prints to people whose images he captured. 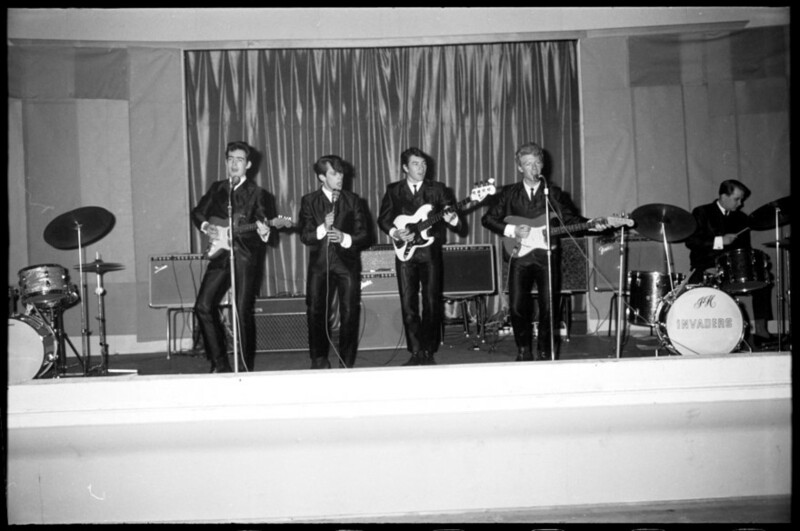 One of the early venues he frequented was The Crystal Palace on Mt Eden Road (the entrance to the downstairs performance area is now the door to The Lab Recording Studio). From 1935 to 1952 this was where bandleader Epi Shalfoon held court, followed in the early 1960s by Merv Thomas and his Dixielanders. 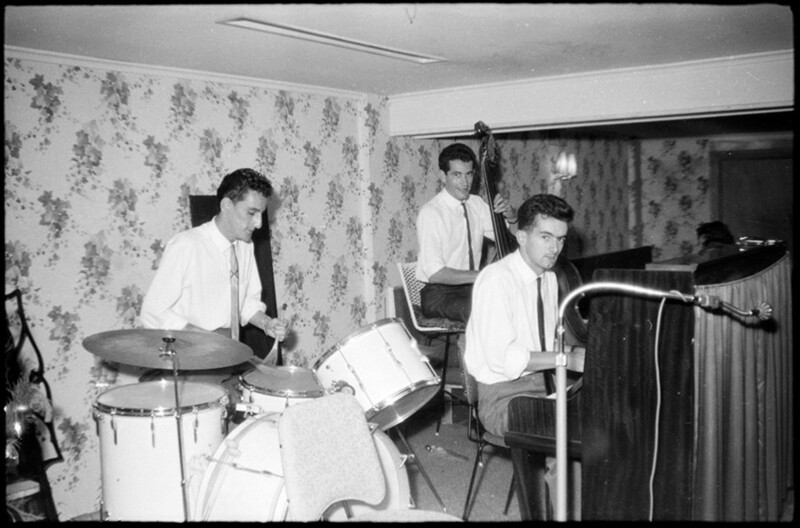 Here is a shot of the Howard Morrison Quartet in 1959 just after their hit single ‘Hoki Mai’ broke them nationwide. 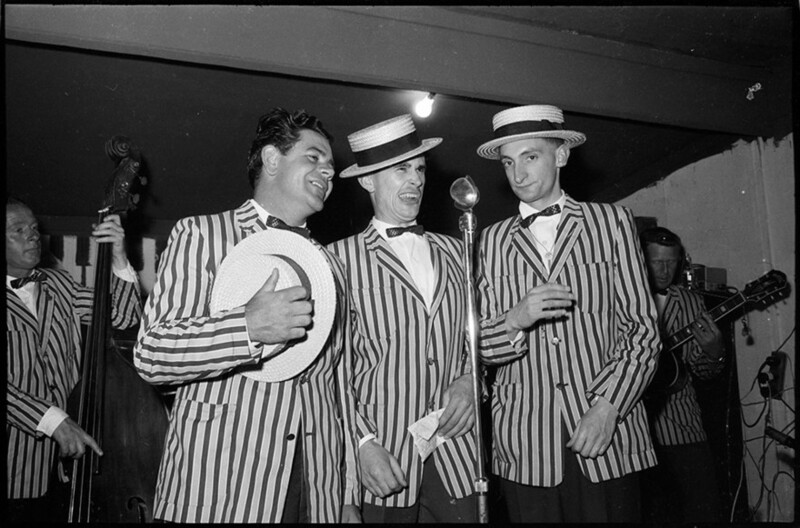 Merv Thomas and his Dixielanders were regulars at the Crystal Palace, and Thomas's offsider Clive Laurent also did a good comic turn, which meant their shows were as much variety as jazz. 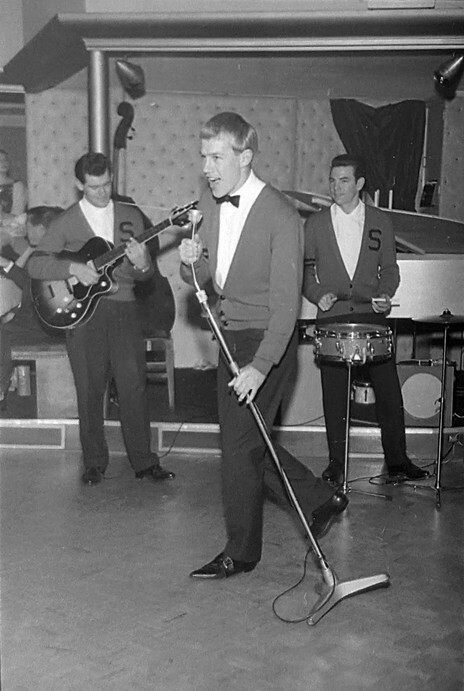 And here’s Thomas setting up Johnny Devlin in another area of the Crystal Palace. 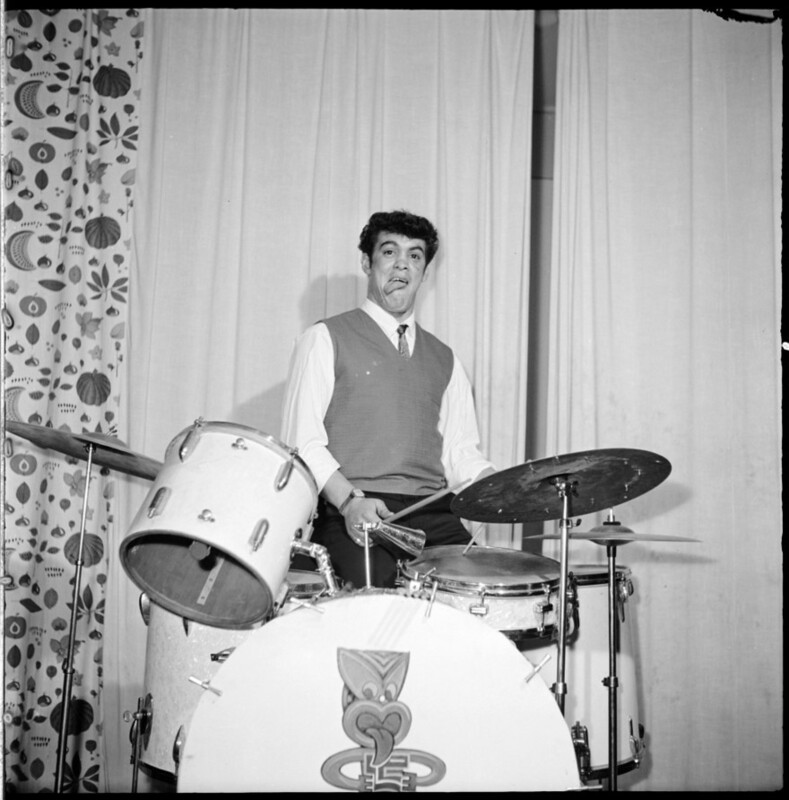 In 1958 Thomas built the tape recorder on which Devlin recorded 'Lawdy Miss Clawdy'. By the time this photo was taken, Devlin was based in Australia. 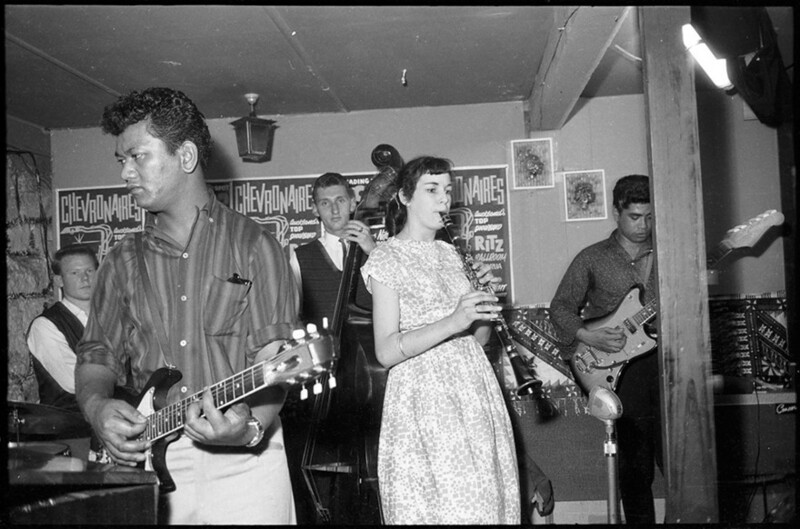 For several years jazz violinist/saxophonist Paul Lestre (real name Jim Callan) held court at the Hi Diddle Griddle on K Road. 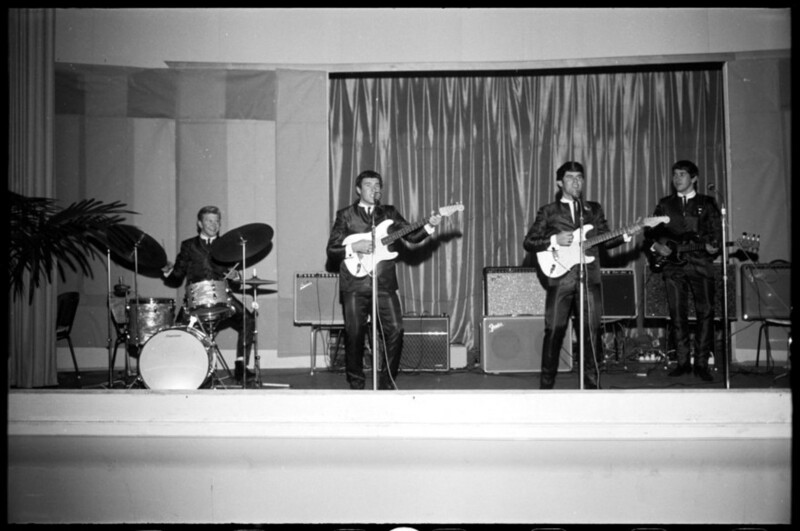 Here he is in another venue with his band in 1961. 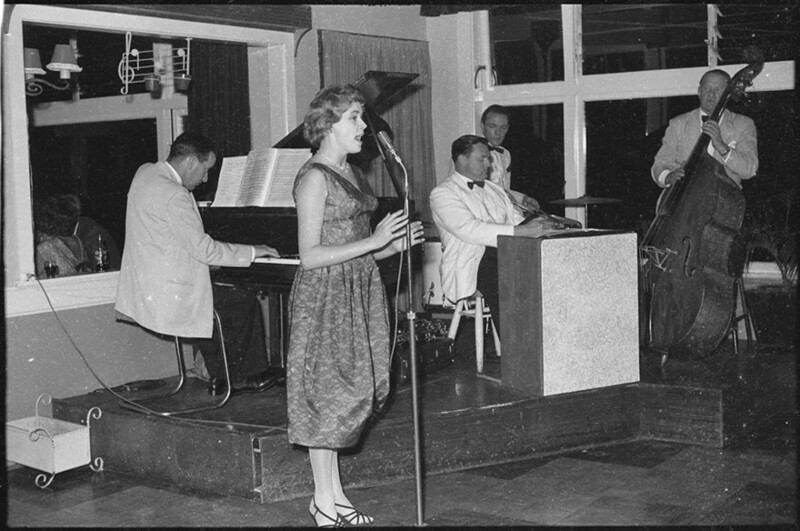 At the very end of the 1950s, New Zealand’s restaurant scene was brought to life when several exciting ventures opened, many featuring musical entertainment. 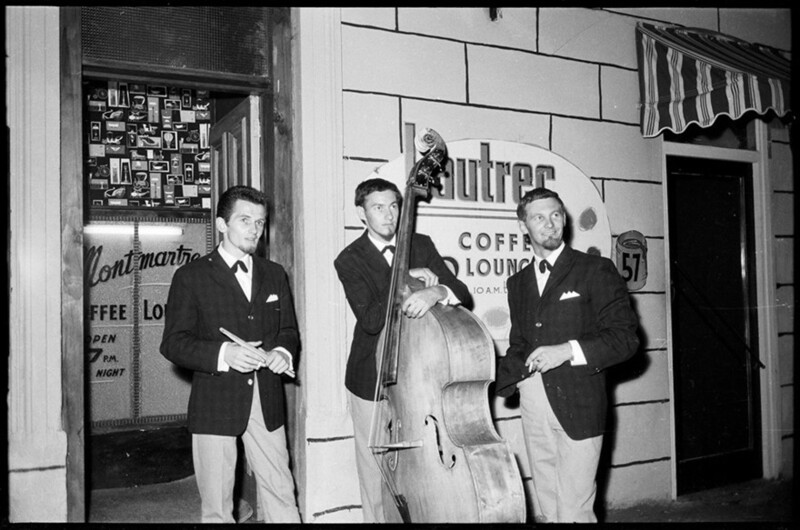 Among them was Fagel’s restaurant on Hobson Street, the location for the cover shot of the 1959 EP The NZ Jazz Trio Plays Exotica. 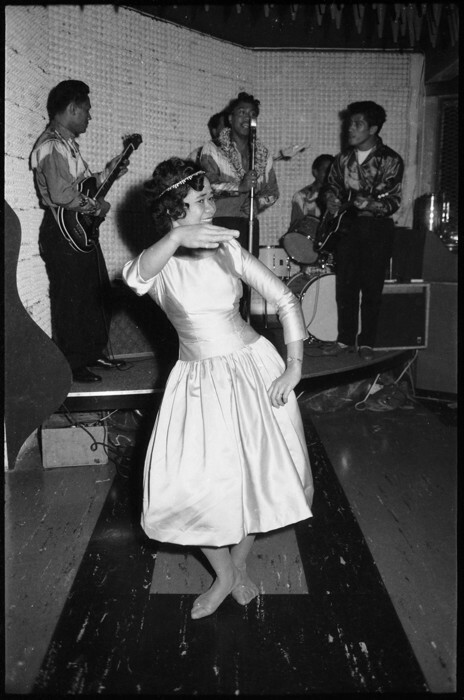 The dine and dance scene grew in popularity in the 1960s, which meant Rykenberg and his photographers became even more active on the scene. However their work didn’t gain them respectability in photography circles: they repeatedly applied to join the New Zealand Professional Photographers’ Association but were constantly rebuffed. 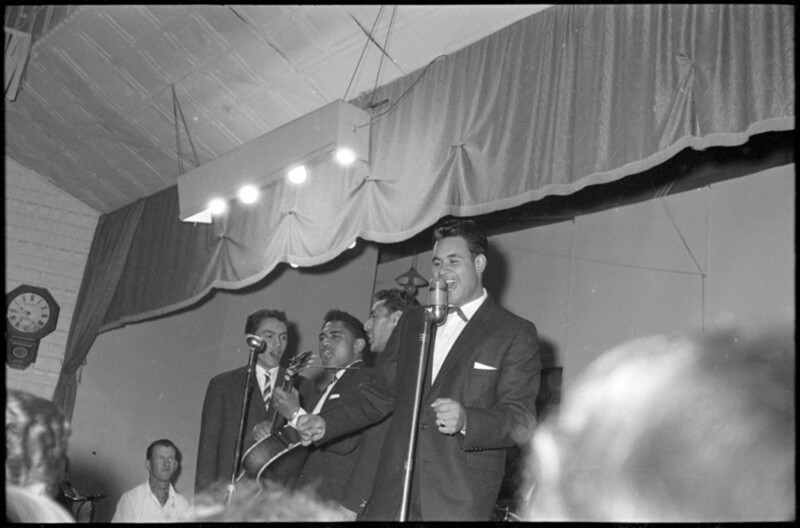 The dine and dance restaurants where Rykenberg worked weren’t always in the city either. He spent so much time at the Sorrento restaurant (on the lower slopes of One Tree Hill) that he eventually set up a studio there so his team could print photos for customers on the spot. 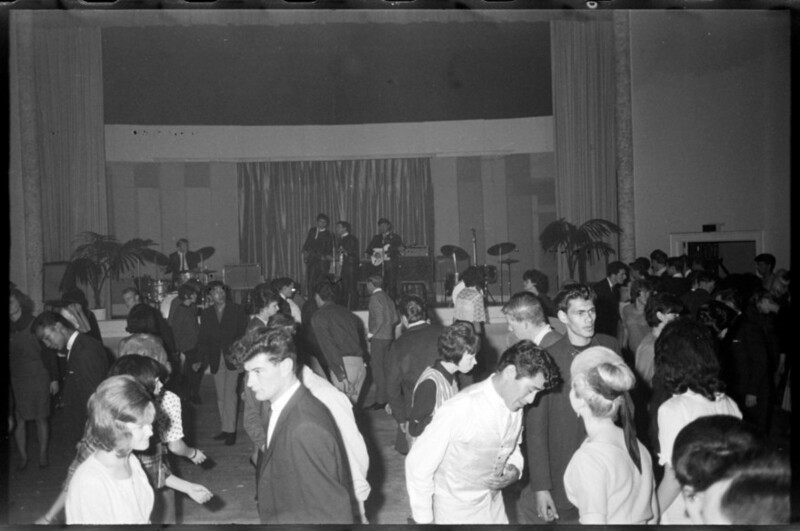 Back in the central city, one of the most popular clubs was the Shiralee (later the Galaxie) at the bottom of town. 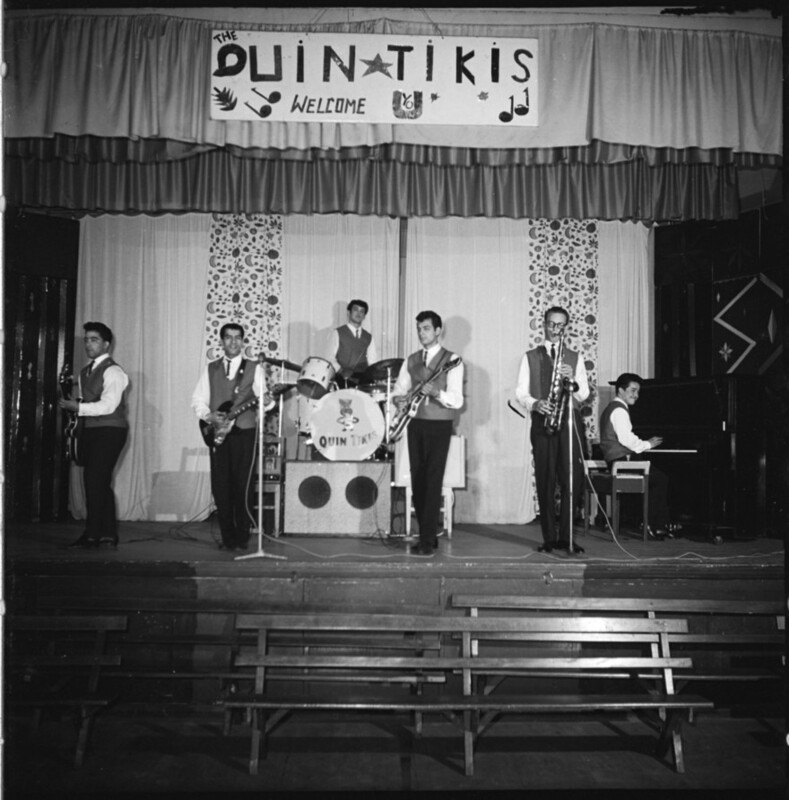 This is a venue that is hard to place in modern times, since the street it was on has since been demolished. In the late 60s it was for the Downtown Shopping Centre; in 2018 it is again a work site for the extension to the Britomart train station. 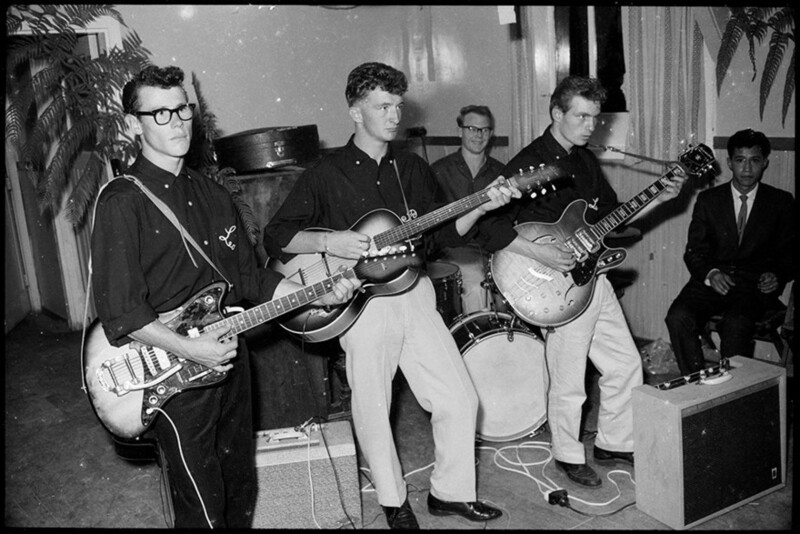 To coincide with the Auckland Libraries release of the Rykenberg Collection, a staff member (Sue Berman) interviewed several musicians from the era: bassist/guitarist Leo Sleeman and two drummers, Bruce King and Dave “Red” Williamson, along with singer Wendy Moore. 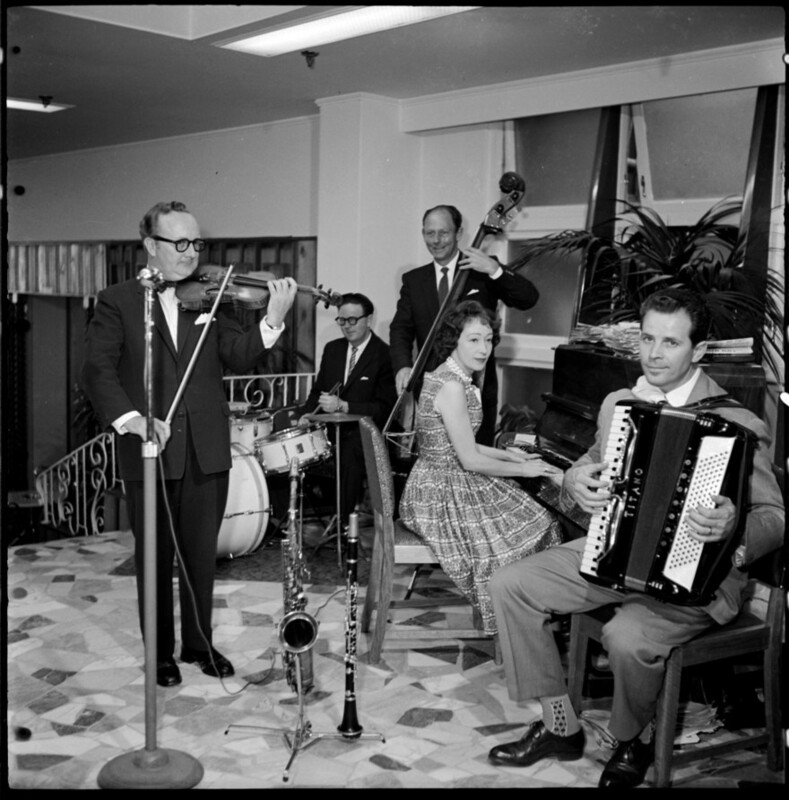 Please visit Rykenberg: mystery musicians to help us identify some performers in the collection. Thanks to Keith Giles, Sue Berman, Timothy Barnett, Dan Liu, Renee Orr, Zoe Colling, Annette Hay, and the Auckland Libraries Heritage Trust for their assistance on this piece.